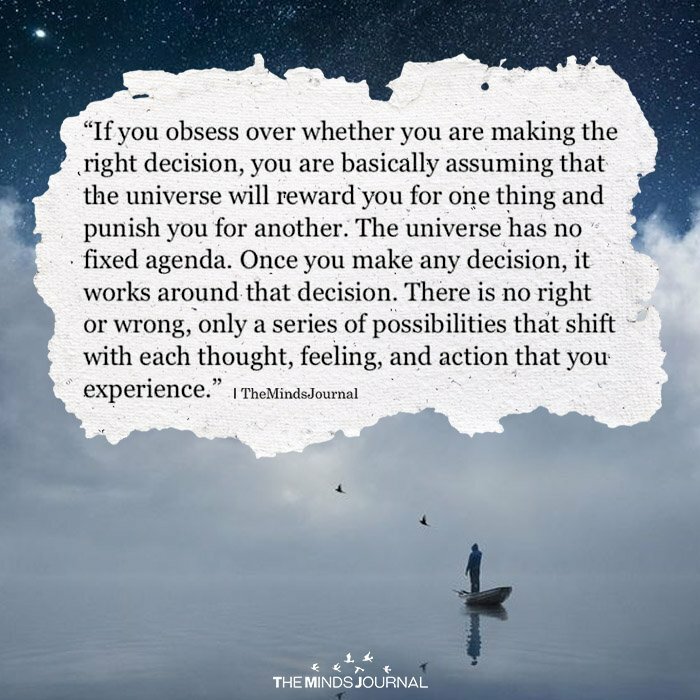 If you obsess over whether you are making the right decision, you are basically assuming that the universe will reward you for one thing and punish you for another. The universe has no fixed agenda. Once you make any decision, it works around that decision. There is no right or wrong, only a series of possibilities that shift with each thought, feeling, and action that you experience.